Cellulose acetate phthalate-based pH-responsive hydrogel was synthesized for fabrication of polymeric matrix tablets for gastro-protective delivery of loxoprofen sodium. Cellulose acetate phthalate (CAP) was cross-linked with methacrylic acid (MAA) using free radical polymerization technique. Fourier transform infrared (FTIR) spectra confirmed the formation of cross-linked structure of CAP-co-poly(methacrylic acid). Thermogravimetric analysis (TGA) and differential scanning calorimetry (DSC) confirmed the thermal stability of polymeric networks, and scanning electron microscopy (SEM) and energy-dispersive X-ray spectrum (EDS) images unveiled that the prepared formulations were porous in nature and thus the developed formulations had shown better diffusibility. Swelling and in vitro drug release was performed at various pHs and maximum swelling and release was obtained at pH 7.4, while swelling and release rate was very low at pH 1.2 which confirmed the pH-responsive behavior of CAP-co-poly(MAA). CAP-co-poly(MAA) copolymer prevents the release of loxoprofen sodium into the stomach due to reduced swelling at gastric pH while showing significant swelling and drug release in the colon. Cytotoxicity studies revealed higher biocompatibility of fabricated hydrogel. Acute oral toxicity studies were performed for the evaluation and preliminary screening of safety profile of the developed hydrogels. Matrix tablets were evaluated for release behavior at simulated body pH. 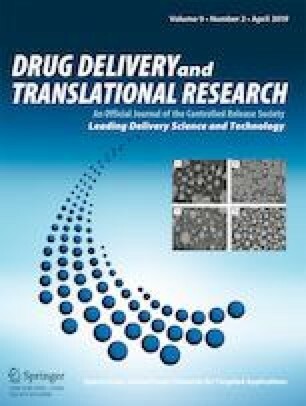 The investigations performed for analysis of hydrogels and fabricated matrix tablets indicated the controlled drug release and gastro-protective drug delivery of CAP-co-poly(MAA) hydrogels and pH-sensitive matrix tablets for targeted delivery of gastro-sensitive/irritative agents. The authors would like to acknowledge Higher Education Commission of Pakistan for the financial support through Project No. 21-487/SRGP/R&D/HEC/2015. This study became possible due to support of Higher Education Commission of Pakistan. Khalid I, Ahmad M, Usman Minhas M, Barkat K, Sohail M. Cross-linked sodium alginate-g-poly (acrylic acid) structure: a potential hydrogel network for controlled delivery of loxoprofen sodium. Adv Polym Technol. 2016; https://doi.org/10.1002/adv.21747.